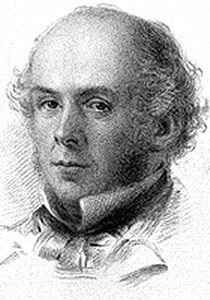 Arthur Hugh Clough (1819-1861), whose name is pronounced Cluff, is an unusual poet. He’s generally known for three or four memorable poems, while the rest of his literary corpus remains forgotten. I myself first came to him as a child in 1957, when my mother purchased Oscar Williams’ brand-new Silver Treasury of Light Verse. Two of his best pieces are in it, and even back then I saw that he could be impishly delightful. Clough was of Welsh and Northumbrian stock, born in Liverpool, but since his father was a cotton merchant he spent part of his childhood in South Carolina. When Clough’s family returned to England, he attended Rugby, and later Balliol College at Oxford. After a short stint of teaching he traveled to France and to Italy, and began to crank out a great deal of poetry. Later he revisited the United States for a brief time, before finally attaining a civil service appointment in the British Education Office—a position that included visiting foreign lands for research purposes. Clough had a number of well-known friends, such as Ralph Waldo Emerson, Thomas Carlyle, Matthew Arnold, and even Florence Nightingale, to whom he acted as an assistant and secretary for some years. He seems to have tended towards the Unitarian persuasion (perhaps as a result of Emerson’s influence), but in any case he was a Nonconformist Protestant with some skeptical tendencies. He left his position at Oxford because of disaffection from the Anglican Thirty-Nine Articles. Clough’s collected poetry, in the edition that I have from 1895, runs to 460 pages in small type. It is a beautiful octavo volume bound in green cloth and gold, with an exquisite engraved portrait of the author facing the title page. Published in London by Macmillan, and printed by the high-end firm of Spottiswoode in New-Street Square, it is a fine example of what nineteenth-century bookcraft could do. It’s too bad that the bulk of the poetry in the book is disappointing. Clough had a genuine poetic gift, but a great deal of his work suffers from three things: an overly Romantic tendency to declaim; a penchant for emotionalized dramatization; and an almost Wordsworthian inability to reach closure. There are other things wrong with Clough. He’s a political liberal, and liberalism (like psoriasis) is often hard to hide. Too many of his poems have that air of amorphous dreaming, wild hope, and gaseous uplift that are typical symptoms of nineteenth-century Whiggery. Shelley suffered badly from the affliction, as did Browning and Tennyson to a lesser degree. Clough had the problem in spades. For example, Clough is the author of “Say Not the Struggle Nought Availeth,” one of those absolutely godawful hope-in-the-face-of-despair poems that only a Victorian liberal could write. I won’t quote it here because it is mediocre, clichéd and widely anthologized, but it did turn into one of his most popular pieces, the title itself becoming a by-word for a never-say-die attitude. Just consider some of his other pieces (“Hope Evermore and Believe!” and “Life is Struggle”), which are as awful as their titles suggest. Clough was unfortunately influenced by his stay at Arnoldian Rugby, with the school’s insistent worship of Work, Duty, and Moral Earnestness. Clough was a good classicist, and included in his book are some translations of passages from the Iliad, done in an English approximation of dactylic hexameter. They are awkward and unwieldy, like most attempts to imitate classical quantitative measures in accentual-syllabic English. He also has some experiments in English elegiac couplets and alcaics, all disappointing. He gives us a few short translations from Goethe as well. The bulk of my 1895 Clough edition is devoted to four lengthy works, a good portion of them being in those same tedious hexameters. There is a verse novel, a collection of tales, an endless series of epistolary missives, and the strange “Dipsychus,” a disjointed and meandering meditative satire that is hard to follow. He has a great many tedious poems on “Religious and Biblical Subjects,” one more indication of the close linkage between English liberalism and Low-Church Protestant Dissent. There’s a long dramatic poem on Adam, Eve, Cain, and Abel; poems on Jacob and other figures from Genesis; and some other pieces expressing religious doubts or—more typically for a Victorian—a vague generalized fear that infidelity was gaining ground. So, in the light of all these demerits, why am I writing about him? Well, go back to my first paragraph. In spite of everything, Clough wrote four really top-notch poems. They are so damned good that everyone who loves formal poetry should know them. And since I’m not going to quote anything else from Clough’s work, I feel entitled to present these four poems in their complete and untruncated form for our readers, with just some minimal commentary. What we have here is a perfect excoriation of hypocrisy and time-serving self-interest. It takes all of the Ten Commandments and reduces them to the evasions and compromises and pretences that human beings use to get around their religious obligations. What’s really scary is that today many amoral persons cannot see the satire in the poem, but think of it as a neutral description of how to live. Many murderous euthanizing doctors, for instance, have quoted the fifth couplet here as a straightforward defense of letting helpless patients starve to death, or leaving them without life-saving treatment. In the fourth quatrain, the word victual is pronounced “vittle,” just as it still is in some rural dialects. It makes a perfect rhyme with little. (This was in fact the original English pronunciation of the word.) The poem touches upon the tendency of some persons of venal and mercenary character to dismiss God as an illusion, or as a totally uninterested observer of life; while noting that those in emotionally altered states, or in situations of dire need, are deeply drawn to faith in Him. The devil takes the hindmost, O! In this piece we see the lament of an idealistic liberal over the fact that naked self-interest is still the primary motive for all human action in all arenas of life, both public and private. The refrain carries a haunting suggestion of a generalized Darwinism, whereby the weak are forever eaten by the strong. To an adherent of altruistic Whiggery like Clough, this plain fact must have caused unending chagrin, and the poem (along with “The Latest Decalogue”) should be understood not as an expression of cold-blooded cynicism, but as the disappointed rage of a wounded liberal conscience, especially one that is already starting to lose its moorings in religious certainty. There were to be woodcocks, and not Charlotte Russe! Some burgundy just before tasting the cheese. If people like us didn’t eat, drink, and pay. So useful it is to have money, heigh-ho! So useful it is to have money. Whose fathers and mothers can’t give them a sou. So needful it is to have money, heigh-ho! So needful it is to have money. ’Tis the pleasantest fashion of taking the air. I have loved this poem ever since my mother read it aloud to us back in 1957, in a wonderful sing-song cadence that carried me and my brother up and down, like splashing waves at the beach. These are brilliant anapestic-dactylic stanzas, the lilting rhythms of which match perfectly the languidly complacent air of contentment heard in the speaker. He’s an affluent boulevardier, a gourmet and a bon vivant, a happily smug and comfortable diner-out who thoroughly enjoys wealth and fine living. Nothing else really matters to him—even his occasional act of charity is something that affords him pleasure. He relaxes in a gondola that takes a leisurely path through the canals of Venice—self-satisfied, sated by good food, and with the savor of fine wines still lingering on his palate. Plenty of money has made this life of his possible, and the speaker accepts his good fortune fully and gratefully. It’s a brilliant portrait of a life that the earnest liberal Clough probably considered reprehensibly selfish, but it’s also a life that he may have secretly admired, and longed to have for himself. After all, his job allowed him to travel widely on the Continent, and he surely saw that the European ideal of gracious living and sensual indulgence was a lot more inviting than the shopworn pieties of English Unitarian do-goodery. This terrible dichotomy (enjoying financial abundance versus the ethical impulse to labor altruistically in the vineyards of social action) is one that has always been a problem for Anglophone liberalism. George Bernard Shaw wrestled with it endlessly, as can be seen in Major Barbara and Man and Superman. Do we want the ease and luxury that full-blown capitalism can provide, or should our higher loyalty be to improving and saving the world? Can we have both, or does one preclude the other? When liberalism gains power and takes over as the political establishment, this dichotomy becomes acute. Clough’s career (and poetry) can be seen as an illustration of the same. He was torn between faith and skepticism, between altruistic social concern and sybaritic indulgence. Let me explain. The intellectual and historical DNA behind this dilemma is easy to trace. Low-Church Protestantism begins in a rejection of all authority except the scriptures, and those same religious texts were read as calls to plainness, simplicity, pared-down aesthetics, moral punctiliousness, and parsimony. But nineteenth-century England exploded with new goods, services, pleasures, and financial opportunities. What was the earnest Protestant Dissenter to do? Well, he could reject all those worldly temptations and just stick to his Bible and his Chapel attendance. But this was becoming less attractive every day, as the new railroads and industries brought more and more conveniences, possibilities, and delights. Moreover, a corrosive religious skepticism was beginning to spread widely and alarmingly. Did one really want to live one’s life in strict accordance with scriptures that were already being challenged by German textual criticism? Another possible solution was Manchester liberalism, which championed unfettered manufacturing and free trade in order to keep prices low, encourage consumerism, and thereby promote peace and universal brotherhood among nations. Such a solution accepted the desirability of wealth and power, but linked them to a humanitarian reformism that preserved the ethical atmosphere of Low-Church Protestantism without its religious underpinnings. Soon afterwards, a more radical solution was found in Fabian socialism, as promoted by the Webbs and by Shaw himself. Fabian socialism drops religion entirely, and fully embraces the new wealth and power of capitalism, but uses them surreptitiously to impose benevolent social change upon a benighted world. This has become, in a nutshell, the default position of regnant left-liberalism today. Its adherents are hungry for the pleasures that wealth and power bring, but they are also committed to forcing their ideology as a new orthodoxy on the entire planet. I think we can understand now why Clough wrote only four memorable poems. When he was on his best behavior as a good English Whig, he could declaim endlessly about righteousness and virtue. After all, the Arnoldian trinity of Work, Duty, and Moral Earnestness was permanently stamped into his public persona. But deep within Clough there boiled the lust for indulgence, pleasure, and a life of conspicuous consumption, and a concomitant cynicism about the pallid and barebones “virtue” of social do-goodery and altruistic ethics. It’s thanks to this psychological dissonance that we have those four great poems. How ironic for poor Clough that these are pretty much the only portion of his work remembered today. 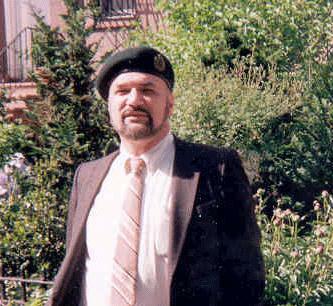 Joseph S. Salemi has published poems, translations, and scholarly articles in over one hundred journals throughout the United States, Canada, and Great Britain. His four collections of poetry are Formal Complaints and Nonsense Couplets, issued by Somers Rocks Press, Masquerade from Pivot Press, and The Lilacs on Good Friday from The New Formalist Press. He has translated poems from a wide range of Greek and Roman authors, including Catullus, Martial, Juvenal, Horace, Propertius, Ausonius, Theognis, and Philodemus. In addition, he has published extensive translations, with scholarly commentary and annotations, from Renaissance texts such as the Faunus poems of Pietro Bembo, The Facetiae of Poggio Bracciolini, and the Latin verse of Castiglione. He is a recipient of a Herbert Musurillo Scholarship, a Lane Cooper Fellowship, an N.E.H. Fellowship, and the 1993 Classical and Modern Literature Award. He is also a four-time finalist for the Howard Nemerov Prize. His upcoming book, Gallery of Ethopaths, is forthcoming in 2019.